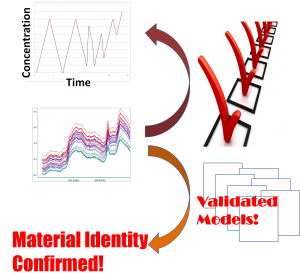 Need to translate spectral data into quantitative and/or qualitative models? Need to validate these models? We are the answer! IBS Caribe, Inc. has trained personnel in the areas of Chemometrics and Multivariate Analysis to generate models that interpret spectral data into quantitative and qualitative information. At the same time, we have experience and know how to validate these models in accoradance to the latest Guidances. IBS leading consultant is Dr. Rodolfo Romañach, a leader in the arena of chemometrics and the application of spectral data for process monitoring in the Pharmacutical Industry. We not only know how to do it, but we have done it already! IBS has worked in multiple feasibility studies and has generated and validated chemometric models in a major pharmaceutical company for Materials Raw ID and Constituents’ Concentrations. At the same time, we have worked in the generation of chemometric models for multiple constituent concentrations in upstream processes for the biopharmaceutical industry.